David Leaf and John Scheinfeld’s The U.S. vs. John Lennon doesn’t strain to be topical: Way before Gore Vidal makes the parallel for us, it’s abundantly clear that the filmmakers’ account of our Vietnam-era government’s meddlesome involvement in John Lennon’s life is meant to hold a mirror to life in Bush’s America. 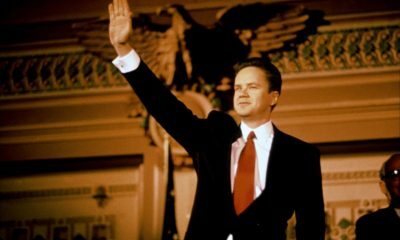 The film believes in the adage that history repeats itself, but its only power is implicit, hinging on the audience’s willingness to trace links between the twin travesties of Vietnam and Iraq, the rogue presidents behind both wars, and the Dixie Chicks and the very public flogging the Beatles were subjected to after Lennon’s comment about the band being bigger than Jesus was hysterically taken out of context by the country’s conservatives. Explicitly, though, the film is pure fluff, a competently detailed catalog of Lennon’s political ambitions told in the visual shorthand of the VH1 rock-doc. (The station is one of the film’s production companies.) 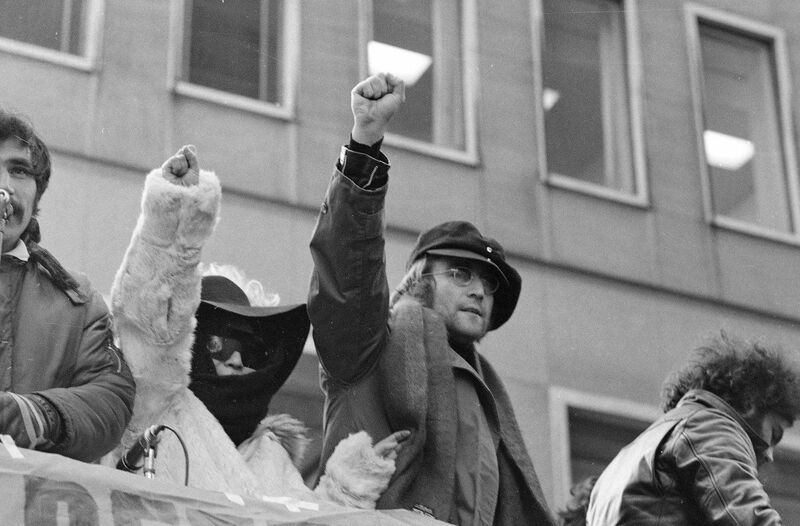 Among the topics covered: Lennon and Yoko Ono’s bed-in, the couple’s role in freeing John Sinclair from prison, their relationship to anti-war activist radicals like Abbie Hoffman and Bobby Seale, the government’s alleged wire-tapping and surveillance of the couple, and Strum Thurman’s expertly deployed plan to deport the Lennons prior to Nixon’s shameful reelection. Lennon’s resilience resonates, but Yoko remains a cipher, and one imagines the performer and activist—one of the film’s more prominent interviewees—might not appreciate how she comes across as a submissive sidekick to her husband, whose political chutzpah throughout the years is so transparently cut together using the video-editing lexicon dictated by MTV—the print’s hippy-ish tie-dying during some montages becomes a specious attempt at legitimacy to the era—you can actually tell where the commercial breaks will appear when the film inevitably makes its television premiere.